Colonize Me! is a new complete PC Game made in Flash with polished GFX and Sound. The game will be released soon and is awaiting for a walkthrough. Here are the full details for Colonize Me! Give a test to your conquering logic skill while playing this puzzling board game. Travel in 5 different worlds: Inca, Techno, CyberCity, Magma, Lunar and give your best to conquer them all. Move your cells deep into the enemies territory, hoping that you’ll touch as much as possible of your foes, in order to convert them into yours. The game ends whenever one side fully dominates the other. Party Mode: 20 Levels - Up to Four Players including Teams and IA Players with Intelligence level configuration with a great replay value. Check out the original trailer for Colonize Me! Enjoy your weekend and visit PlayTowerDefense games once in a while. BustaBrain 2 is a new logic game made by NinjaDoodle with a mouse control gameplay filled up with 30 mini-puzzle levels and one hidden black dice on each of them. Here is the full text walkthrough for Bustabrain 2. Well done you made it, now go collect your reward! Heaven or Hell 2 is the latest sequel of its previous and popular part the war between Heaven and Hell. The game will be released soon and is awaiting for a walkhtough and a full guide of completing the whole game. Here are the full details about Heaven or Hell 2. 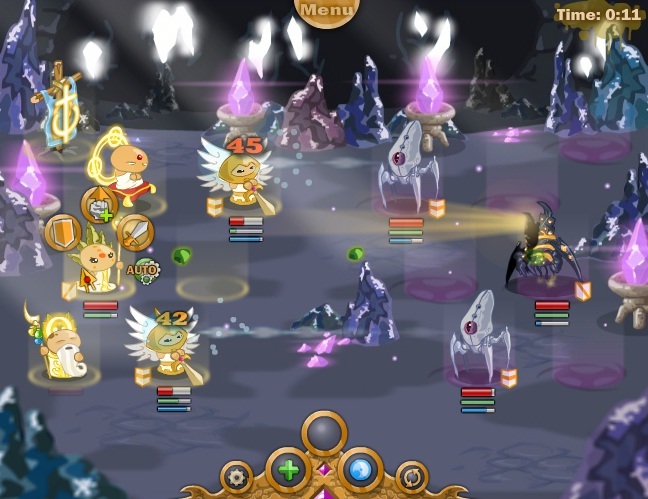 Endless war between good and evil in amusing game now with more addicting and fun! 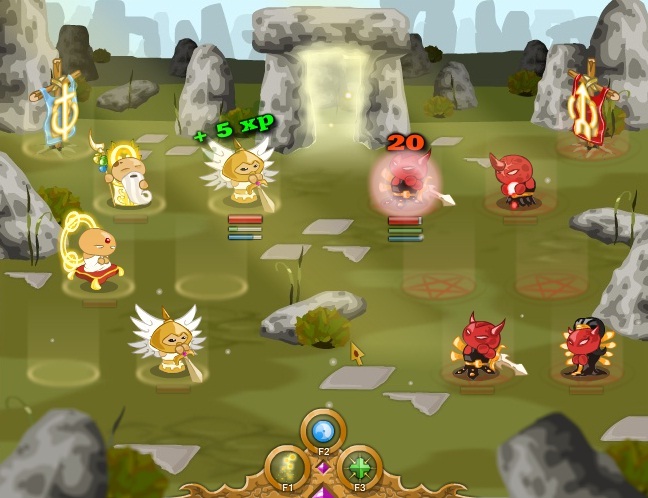 The game represents logic strategy. But generally it action, where all strategic tasks should be decided in real time. Choose your side, and go to success using all of your skill in strategy. Use magic and call the ancient guards on your part! Be individual! Use your own tactics on the way to victory! Heaven or Hell 2 will be played by your mouse only, but there can be used a lot of hot keys for more advantage.